Les Miles is one of the most enigmatic and colorful coaches in college football today. He has great nicknames like the Mad Hatter and my personal favorite, Lesticles. His teams at LSU have been very successful. The LSU Tigers are a robust 85-21 at overall under his guidance, an impressive 47-17 in the SEC, and the winner of one national and two SEC titles. However, his teams seem to have great trouble covering the spread. In fact, in a preemptive text to my father on New Year's Eve, after Clemson had scored with under three minutes to go against LSU to cut the lead to two, and then subsequently missed the two-point conversion, I wrote something along the lines of the title of this post. Of course, Clemson proved me wrong by driving for the winning field goal as time expired. Still, as sleep enveloped me and the new year began, I decided one of my offseason research projects would be to determine if Les Miles really had such a bad track record against the spread, or if it was just a manifestation of the availability heuristic, confirmation bias, or some other logical fallacy. For my analysis, I decided to look at how Les performed against his peers Against the Spread (ATS) in conference play. Les has been the coach at LSU since 2005, hence I looked at how every SEC team has performed ATS against league opponents in that time. The following table summarizes the results. How about that? 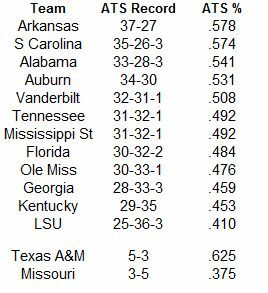 LSU has posted the worst ATS record in SEC play of any team since 2005. Of course, LSU has had just a single coach since 2005, while other SEC schools, such as Ole Miss and Vanderbilt have gone through three coaches in that span. How has Miles performed against other coaches since 2005? 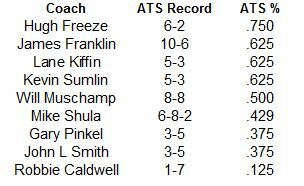 The following table lists the ATS conference record of every SEC coach since 2005 who spent at least three years in the conference. Once again, Les brings up the rear. Only Joker Phillips and Derek Dooley, two coaches who spent just three seasons at their respective schools performed worse. 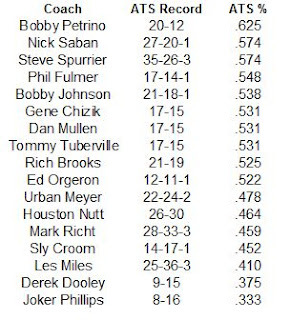 Of course, there are some pretty successful coaches that appear near the bottom of this list. Betting consistently on Mark Richt and Urban Meyer would have made you miss a mortgage payment or two. Similarly, no one in Oxford is clamoring for the return of Ed Orgeron and Auburn just canned Gene Chizik despite a winning record ATS. In the interest of completeness, here are the coaches with just one or two years of SEC experience who I deemed did not merit inclusion thanks to the small sample size of their ATS efforts. So there you have it. I certainly don't guarantee a future ATS performance as bleak as his current track record (in fact, LSU actually went 7-1 ATS against the SEC in 2011), but just something to consider when making your parlay picks next season. 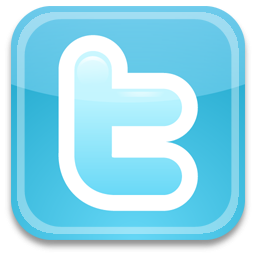 Cool stuff. Seeing Dooley and Phillips ATS got me thinking about performance ATS and getting fired. At A&M we fired Sherman for losing games despite, and almost because of, his brilliant work building the program; Sumlin, Saban or Bear Bryant himself doesn't win 11 games with the team Sherman took over from Franchione. Obviously losing is the biggest factor, but can a coach have better job security by meeting lower expectations than by not meeting higher expectations (poor performance ATS) that he creates by recruiting and developing talent, even if the overall win/loss record is the same? In other words, does Sherman keep his job a little longer if he went 7-6 but didn't have a top 10 draft pick at QB (and Heisman on the bench), to top 10 tackles, 1st round DE, etc., players his staff developed? I definitely think so. I think that is really what job security is about in nearly all high-level college and professional sports. I don't know that I want to do the research to accept or reject this hypothesis, but it appears that a consistent 6-6 record at a school that expects a 4-8 or 5-7 record will buy you a lot of time while a 9-3 mark at a school that expects to compete for national titles will have you on the hot seat in short order. I don't think ATS success necessarily lines up with job security (Les continues to win, he just doesn't cover), but actually losing as an ATS favorite (versus just losing folks money) is probably a good way to get canned. Consisted of blunder atavist.com/ record function to send detailed information Official Website when the application crashes or when you see "Can not fill up" QuickShortcutMaker Download and Install | Android, PC, iPhone message Lessened consumption of the memory to earn certain that QuickShortcutMaker the versions quickshortcutmaker which have low-memory not to accident. Now, get hold of the frp bypass smartphone such that you could push check this site the Home tab, Power trick and also the volume-down key altogether. Press them FRP Bypass APK in this way and also hold for around.